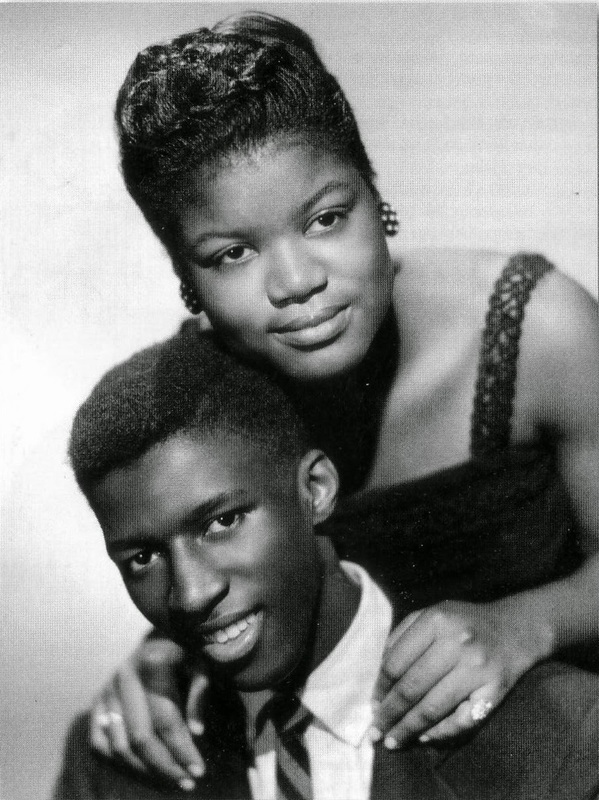 The duo comprised Charleston, South Carolina-born Joe Rivers and New Yorker Johnnie Louise Richardson, the daughter of the fabled Zelma “Zell” Sanders, owner of J&S, Scatt, Dice, Zell’s and other labels. 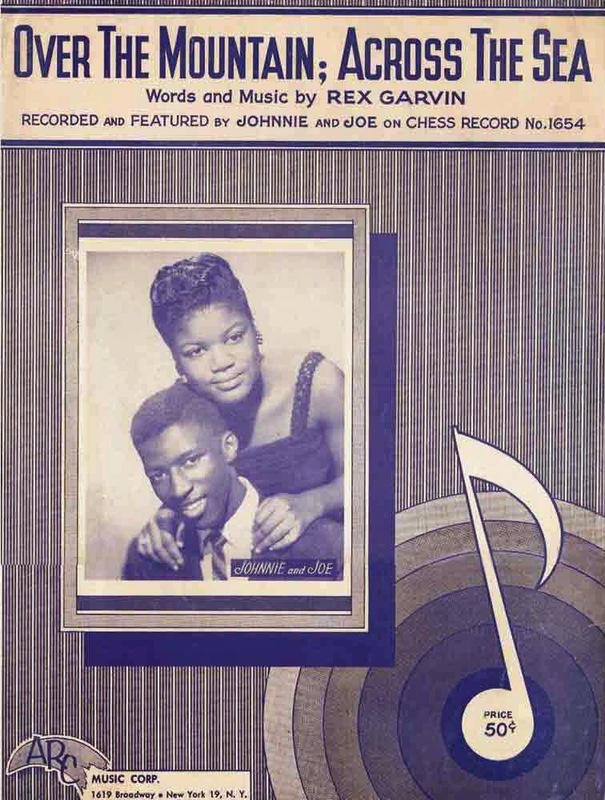 Johnnie & Joe debuted on J&S in October 1956 with “Feel Alright” backed with “I’ll Be Spinning”. The rhythmic ballad side “Spinning” was an immediate hit in New York. Modern Records of Los Angeles rushed out a version of the song by The Cadets. Soon the excellence of this disc began to spread across the country with increased radio play, and Chess records in Chicago picked up the distribution from J & S. in November, eventually reaching the R&B Top Ten in January 1957. The duo’s next disc, “Over The Mountain, Across The Sea” with the B side “My Baby's Gone, On, On” was shipped by J&S the following month. Again the original J & S release was picked up by Chess. 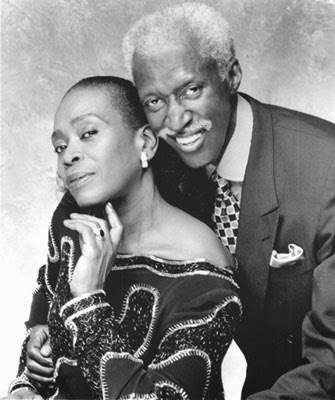 Both sides were written by Rex Garvin, who was part of a local group called The Hearts. 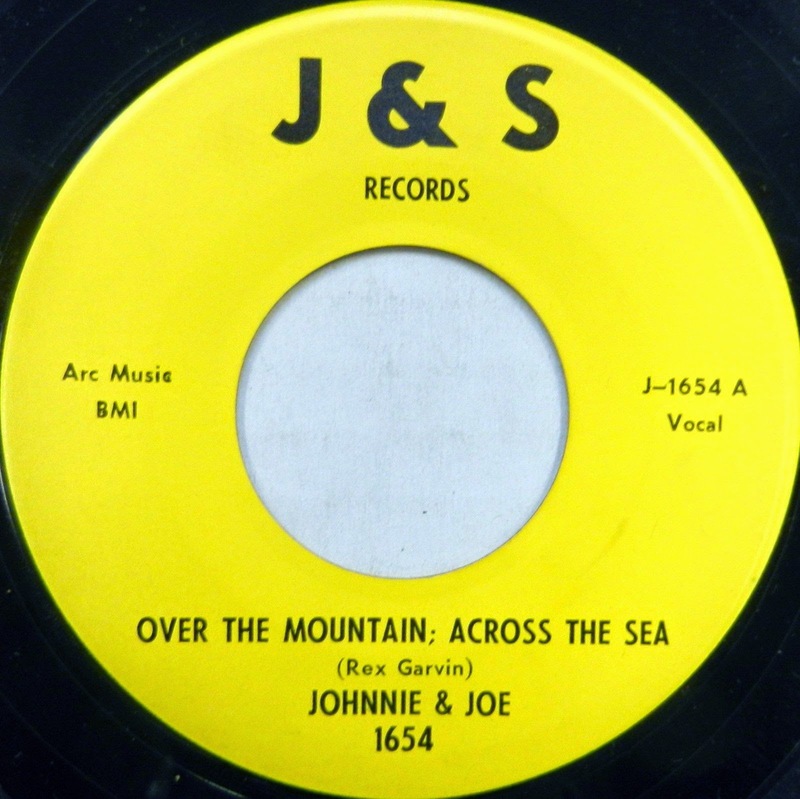 “Over The Mountain, Across The Sea” was the perfect vehicle to top the charts. A dramatic opening, standard R & B ballad form with great vocal performances and a spoken word fadeout makes for one of the true classics ever recorded during the nineteen fifties. 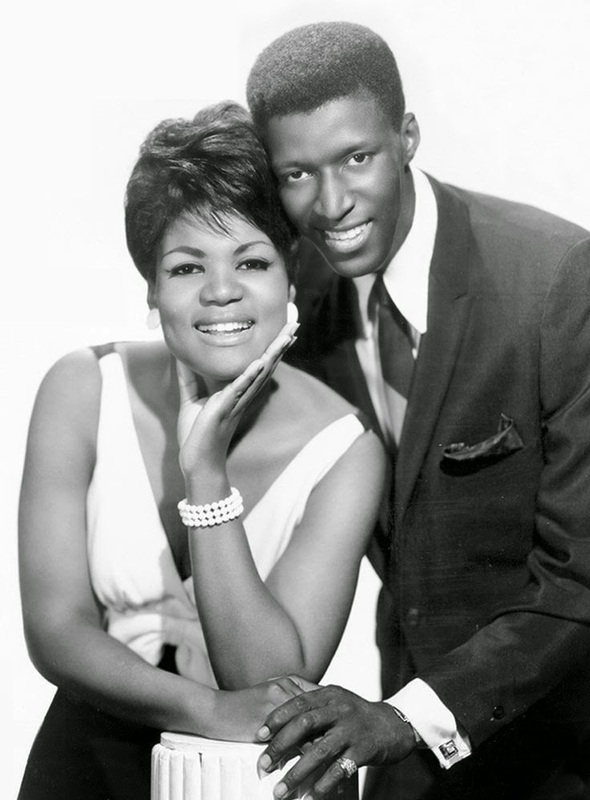 Johnnie & Joe’s third single “It Was There” b/w “There Goes My Heart (On Fire For You)” failed to chart nationally. As happens so often, the high point of the accomplishments by this duo could not be sustained. They came up with fine sounding songs, but the records just did not click with the listeners. 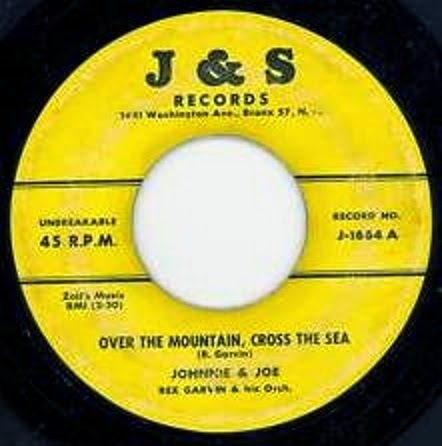 Further releases for J&S and variety of other labels in the 60s went nowhere and the time of Johnnie & Joe was now over. During the 70s and 80s they performed in oldies concerts, and made a critically acclaimed album, “Kingdom Of Love”, in 1982. Johnnie Louise Richardson was felled by a stroke aged 53 in 1988. Joe Rivers still performs on occasion with the former Toys member Barbara Parrett Toomer as his new partner.